Adriane Strampp is a Melbourne-based contemporary artist. Her current work explores earlier concerns, pared down to core elements both in subject and colour, examining the subtleties and nuances of memory and experience through poetic imagery and personal mythology. From the late 1980’s the horse was slowly replaced by the dress, often set in similar backgrounds and landscapes, and this successful series continued until the late 1990’s. 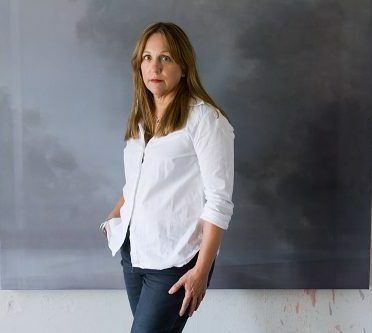 After a studio residency in Italy in 1998, and the final series of Renaissance inspired dress paintings, Strampp began to deconstruct earlier work, often reworking a smaller detail into a larger work in its own right, such as a textile detail from the dress, or a background detail into a major landscape.